Regalia Lifestyle is a lifestyle brand specializing in how to live royally, even if on a budget. On www.RegaliaLifestyle.com blog posts feature fashion finds, unique shoes, chic restaurants, cute vacations & beautiful home decor finds. 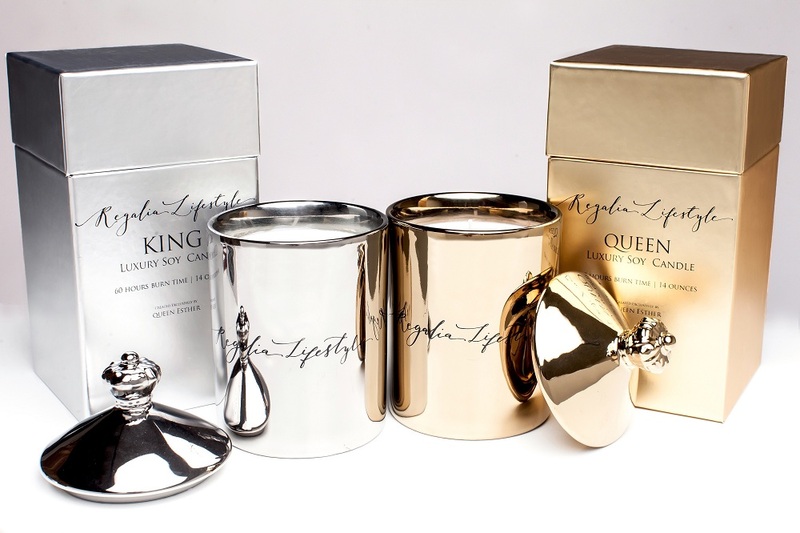 The Regalia Lifestyle Luxury Scented Soy Candles: . Whether a home decor enthusiast or candle lover like me, these candles are perfect for every home! Each luxury candle is hand poured using 100% natural soy wax and the beautiful scents waft through your home with up to 75 hours of burn time. The Regalia Lifestyle Luxury Scented Soy Candles are great conversation pieces! The packaging is ideal for repurposing in every home! These candles can be romantic, soothing and welcoming and are as gorgeous as they are thoughtful. Shop now for yourself or for a gift!